The South African operations generated revenue and operating profit of 68% and 92% respectively, for the six months ended to December 2018, with the remainder generated mainly in the United Kingdom and Australia. We are operating in a subdued economic environment with pressure on disposable income expected to continue until the South African and global economic and political situation settles down. The current electricity crisis and the elections in May will not provide economic stability in the short term. Economic growth will only kick in when the global economy stabilises and the President's revised economic action plans produce positive GDP growth. President Ramaphosa's State of the Nation Address (SONA) to parliament in February was well delivered and generated confidence in the President's ability to lead South Africa. The address contained a number of encouraging features, such as the general drive to improve education and skills, the commitment to fighting corruption and state capture, restructuring of State-Owned Enterprises (SOEs), restructuring of some of the oversight bodies, including the National Prosecuting Authority (NPA), the South African Revenue Service (SARS), the State Security Agency (SSA) and the National Security Council (NSC). The challenge now is on the South African government and the private sector to turn these initiatives into job creation and economic growth. Should the implementation thereof be effective, economic growth could be enhanced in the short to medium term, albeit at a slow pace. According to NAAMSA, South Africa retailed 552 000 vehicles (1,0% down from the prior year) and exported 351 000 vehicles (4,0% up from the prior year) for the 2018 calendar year. The downward trend is continuing, as January new vehicle sales declined by 7,4% year on year and passenger vehicle sales declined by 10,8% year on year. The Importers maintained their retail sales, but reduced car rental sales. We expect consumers to be cautious in the first half of the calendar year, with some improvement in the second half of the 2019 calendar year. We project no growth year-on-year in national vehicle sales for the 2019 calendar year at around 550 000 units. Our retail market share is 19,3% at December 2018 (June 2017: 19,9%). We continue to see structural risks to vehicle ownership in South Africa namely the emergence of ride sharing and car sharing behaviour, increasing pressure on vehicle affordability and concentration of vehicle ownership in urban areas. Industry margins will remain under pressure as the market remains highly competitive and consumers continue to trade down to smaller, more affordable vehicles. With no new jobs being created, political uncertainty locally and globally, Rand volatility, and no imminent interest rate cuts, there is no real economic growth in sight in the short term. This does not bode well for the consumer and economic growth in the short term. Brexit in the UK is creating uncertainty in that market although our UK operations were largely unaffected by this to date. The UK economic growth has been suppressed with the latest GDP growth recorded at 1,3%. The Australian economy has performed well, with the latest GDP growth recorded at 2,8% but in a competitive environment. Looking forward, the GDP growth in Australia is expected to reach an average of 2,4% in the next 12 months. We produced solid results in challenging trading conditions and recorded an improvement in key financial metrics in the six months to December 2018. Participation across the automotive value chain and a diversified portfolio in the industry provided resilience amid the market deterioration. The passenger and commercial vehicle business (including the UK and Australia), retailed 68 725 new units (2017: 72 570) and 41 071 pre-owned units (2017: 40 067) during the six months. This is due to a decline in vehicle sales to the consumers, as a result of market contraction and reduced sales to the car rental industry, where the margins are lower. UK and Australia acquisitions have contributed positively to sales volumes. National unit vehicle sales declined by 1% as reported by NAAMSA. The market has experienced a decline in sales of luxury brands, in favour of entry level vehicles and small SUVs, as consumers continue to trade down. Our fully integrated business model and representation across all business segments have provided a competitive advantage from which many of the brands which we represented have benefited. Revenue remained stable for the period despite reduced sales volumes attributed to market contraction and the sales mix enhanced by price increases and acquisitions. The Import and Distribution segment reported low growth in revenue with a 28% increase in operating income, the Retail and Rental segment reported unchanged revenue and operating income, the Motor-Related Financial Services segment reported an increase of 5% and 3% in revenue and operating income respectively and the Aftermarket Parts segment reported an increase of 8% and 20% in revenue and operating income respectively. For the group and in the Aftermarket Parts segment, the prior period's revenue was restated to recognise that certain revenue raised relating to wholesale procurement arrangements as a principal, will now have to be excluded (parts ordered but delivered directly to customers). Under the revised revenue accounting standard, certain revenue of the business will now be accounted for as an agent only. There is no impact on operating profit, as the cost of sales was reduced by the same amount. The December 2017 revenue and cost of sales was reduced by R326 million. Operating margin improved from 4,4% to 4,7% as a result of the Importer segment benefiting from price increases, fewer vehicles sold to car rental companies resulting in higher margins realised on sales through the dealer channel, enhanced by improved retail execution at the dealership level, the acquisitions in the Aftermarket Parts segment and general cost control initiatives during these economically challenging times. Management remains focused on financial discipline and cost containment. A full reconciliation of earnings to headline earnings is provided in the financial performance section. An interim dividend of 240 cents per ordinary share has been declared compared to a prior period (pro forma) dividend of 209 cents per ordinary share, representing an increase of 15%. Net working capital increased by 20% to R8 415 million from a low base in December 2017 of R 6 998 million and an increase of 25% compared to June 2018. This can be attributed to the normalisation of inventory levels at the Importers as vehicle supply normalised, higher inventory carried at the dealerships arising from recent acquisitions and a market slowdown in vehicle sales. In the Aftermarket Parts segment additional inventory was carried due to acquisitions, customer requirements to improve inventory availability and the strategy of wider brand representation to capture lower-end consumers. Net Debt to Equity is 63,4% (June 2018: 50,7%). Debt is higher in December than in June due to the increase in working capital attributed to the normalisation of working capital levels. The current Net Debt to Equity is within the target levels of 55% to 75%. The Debt to Equity ratios are expected to improve by June 2019. ROIC is 14,3% and increased mainly due to increased profitability and benefits from lower average invested capital during the last twelve months. The ROIC is expected to reduce marginally during the next six-month period to June 2019, as Importer working capital levels normalise. WACC is 10,8% and increased marginally from 10,6% in December 2017 and 10,7% in June 2018. While we have provided separate ROIC, WACC and Net Debt to Equity ratios for each business segment, these ratios should not be analysed in isolation as the business segments in the group operate as an integrated business, to optimise client offerings and market penetration with numerous cross-selling initiatives throughout the automotive value chain. Exclusive South African importer and distributor of Hyundai, Kia, Renault and Mitsubishi vehicles and parts, which collectively have approximately 15% market share in South Africa. 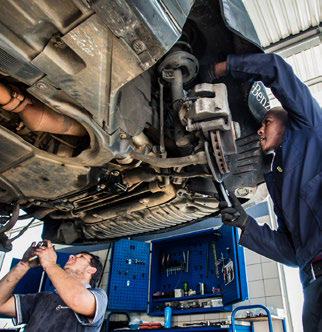 The segment operates in South Africa and neighbouring countries with approximately 80 000 vehicles imported annually. We have the exclusive distribution rights for Nissan in four East African countries, namely Kenya, Zambia, Tanzania and Malawi. The Import and Distribution segment provides a differentiated value proposition to the dealership model, enhancing the revenue and profits of the entire automotive value chain. Revenue improved by 1% from the prior period despite volumes increasing by 2,5% due to price increases and the change in vehicle mix aligned to market demand as a result of fewer luxury vehicles sold. Operating profit improved by 28% from the prior period mainly due to optimal margins realised on sales through the dealer channel and cost containment. For the period, operating profit growth was recorded for all our major importers and the East African operations. 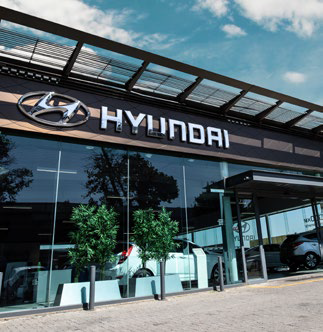 Hyundai and Kia have forward cover on the US Dollar and Euro to September 2019, at average rates of R13,75 to the US Dollar and R15,90 to the Euro. As agreed between the shareholders, Renault does not take forward cover on committed orders. As an interim measure forward cover has been taken to June 2019. With the exception of Renault, the current guideline is to cover a minimum of seven months' orders limited to 75% of annual forecast orders, as stipulated by the South African Reserve Bank. The distributorships in East Africa have recorded significant improvement in profits for the period, due to improved retail execution and financial disciplines. The African distributors' loan accounts were capitalised and in-country borrowings established, reducing foreign exchange exposures. During the period ROIC increased to 16,1% from 9,2%, due to improved profitability, lower average working capital levels and a lower investment in vehicles for hire to car rental companies over the period. We retail vehicles through dealerships based primarily in South Africa, with a selected presence in the United Kingdom and Australia. We have a leading retail market share in South Africa. Car rental operates through Tempest and Europcar brands. 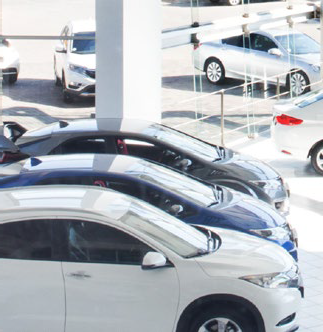 We represent 23 OEMs through 359 vehicle dealerships, including 104 pre-owned dealerships, these include 236 passenger vehicle dealerships and 19 commercial vehicle dealerships. 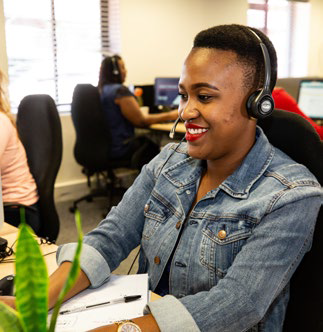 We operate a centralised finance and insurance business across the dealer network, which executes group financial services strategies and provides economies of scale. The car rental segment operates under the Europcar and Tempest brands. Each brand has different target markets, operating through 117 car rental outlets in South Africa and 16 outlets in neighbouring countries. The market share in South Africa is approximately 25%. The Retail and Rental segment's unrivalled footprint of strategically located dealerships and in growing urban areas, underpins its leading market share. The South African retail market share is 19,3% compared to 19,9% in June 2018. We have 85 commercial vehicle dealerships and 36 passenger vehicle dealerships in the UK following the acquisition of dealerships in December 2018. Further acquisitions in the UK market for passenger and commercial dealerships will be driven by the introduction of additional brands and regional expansion. The group operates 27 passenger vehicle dealerships in Australia, located in New South Wales and Victoria. Further acquisitions in the Australian market will be driven by the introduction of additional brands and regional expansion. The Retail and Rental segment reported no growth in revenue and operating income for the six months, mainly due to market contraction, the slow-down in luxury brand vehicle sales and carbon emission issues impacting inventory availability. The acquisitions in the UK and Australia were included for the full six months and contributed positively to revenue and operating profit. Worldwide Harmonised Light Vehicle Test Procedure (WLTP) has negatively affected sales volumes in the vehicle passenger business in South Africa, the UK and to a lesser extent, in Australia. In South Africa, the total vehicle market declined by 1% for the six months ended 31 December 2018. 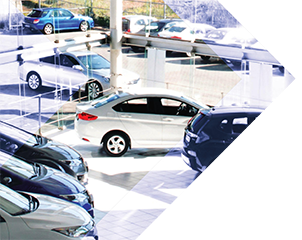 Our South African retail and rental operating profit improved by 7%, due to cost containment, turnaround processes at dealerships and disposal or closure of unprofitable dealerships. The recent changes to leverage the expertise of one finance and insurance sales structure across the retail vehicle segment is providing a competitive advantage for the business. Higher volumes in entry level and small SUV vehicle sales in South Africa have assisted profit margins, however, this was negatively impacted by the reduction in profitability of luxury brand vehicle sales. UK revenue improved due to increased sales volumes. The UK operation has largely been unaffected by the political uncertainty arising from Brexit. Operating profit declined from the prior period. The DAF commercial and Pentagon passenger dealerships have performed well in a competitive market and remain profitable. The Mercedes commercial business was negatively impacted due to once-off restructuring costs and carbon emission issues, resulting in a lack of inventory availability and the reduction in variable margin due to a decline in volumes. The prior period included the sales of the London Taxi vehicles, which resulted in significant once-off income. The revenue from the Australia operations increased for the period, notwithstanding the decline in the Australian market (the Australian new car market sales declined for the first time in four years). This is due to acquisitions that have been included for the six months. The operating profit declined from the prior period. The recently acquired Melbourne operation performed in line with expectations. The Sydney operation was negatively impacted by the over exposure to certain brands that underperformed in the market and relocating one of the Sydney dealerships and the Parts Distribution Centre. The relocation resulted in once-off costs and will improve profitability in the future. Car rental reported growth in revenue for the period, in line with inflation, despite the decline in international tourism volumes. Rental utilisation was maintained at 70%. We gained rental market share over the past 18 months. During the period, ROIC increased from 8,6% to 9,2% due to a lower investment in vehicles for hire and the sale of non-strategic properties. We innovate develop and distribute vehicle-related financial products and services through importers and distributors, dealers, finance houses, call centres and digital channels. The segment is a manager and administrator of service, maintenance and warranty plans and develops and sells vehicle-related value-added products and services to more than 730 000 clients. We are also a provider of fleet management services to corporate customers including fleet maintenance, fines management, licensing and registration services. Innovation of services and products represent a profit opportunity for the business. We have invested in technology to leverage consumer data, enabling us to offer personalised services enhancing the customer experience and improving customer retention. This business segment complements and leverages the automotive value chain, providing high-margin annuity earnings. The business' ability to analyse proprietary data enables the accurate pricing of its offerings, profiling for the fleet business and management of claims. Through its leading service, maintenance and warranty plans, the segment unlocks revenue for the Import and Distribution and Retail and Rental businesses, by bringing customers back to its dealerships. * Operating margin includes profit streams without associated revenue. # In a cash position due to pre-payment of maintenance funds. Revenue increased by 5% mainly due to fund income released to revenue on maturity, higher client penetration through digital marketing of value-added products and vehicle for hire contract extensions. Financial Services improved operating income by 3% mainly due to the positive contribution from the realisation of profits on maturity of funds and lower operating expenses. Management remain focused on financial discipline and cost containment while innovating its product offerings. We continue to drive development of the fleet management business, building synergies within the vehicle retail businesses and integration of the M-Sure business. ROIC increased from 45,9% to 47,1% due to higher profitability during the six-month period. Distributor, wholesaler and retailer of accessories and parts for out-of-warranty vehicles through 35-owned branches, 43-owned retail stores and a network of 720 franchised outlets. The Aftermarket Parts segments' large national and growing footprint enables it to leverage its buying power to distribute and sell competitively priced products for a continually growing car parc of vehicles out of warranty. Expanding into other developing markets such as Africa constitutes a significant opportunity for this business. Increased participation in this segment will include vertical integration in order to eliminate intermediaries in the wholesale supply chain. In March 2018, the segment acquired an additional 11% shareholding resulting in a 60% controlling share in ARCO Motor Industry Company Limited in Taiwan to support this strategy of procuring at competitive prices. Resellers: Midas, Transerve and Team Car. Specialised workshops: ADCO, CBS, Motolek and Battery Hub. Revenue and operating profit increased by 8% and 20% respectively, mainly due to the international vertical integration strategy (inclusion of ARCO as a subsidiary) and cost containment. In South Africa, we continue to experience lower demand for commoditised products and a shift by the consumers from higher-priced premium products to more affordable products. This results in delivering more parts to customers at lower margins and higher distribution costs. Working capital was negatively affected by the expansion of inventory to represent a wider brand of products to capture lower-end consumers thereby improving availability and longer lead times. This impact should normalise in the short term. The acquisitions further impacted working capital. However, this should normalise in the short term. ROIC decreased from 19,4% to 18,5% due to increased working capital. Note: WACC for each business segment of the group is calculated by making appropriate country risk adjustments for the cost of equity and cost of debt. The group WACC calculation is a weighted average of the respective segment WACCs. See glossary of terms. ROIC is calculated based on taxed operating profit plus income from associates divided by the 12-month average invested capital (total equity and net interest-bearing borrowings). was offset by impairment losses of R56 million relating to investments and loans in the Zimbabwean associates and R31 million relating to goodwill on acquisitions of dealerships reduced by the derecognition of loans on the deregistration of subsidiaries R36 million. Goodwill below R10 million per acquisition has been written off in line with our policy. The issue of shares to a black economic partner (Ukhamba) relates to the once-off costs of issuing unlisted deferred ordinary shares at a discount to their fair value (R141 million) and for the modification of share appreciation rights on unbundling (R19 million), totalling R160 million. Profits attributable to non-controlling interests increased, mainly due to improved results in Renault and the inclusion of ARCO as a subsidiary. In March 2018, a further 11% shareholding was acquired resulting in a 60% controlling share. The effective tax rate increased by 1%, mainly due to the once-off cost of the issue of shares to Ukhamba at a discount and exceptional items relating to impairments of goodwill, associates and other (R51 million), which do not qualify for a tax deduction. Any pro forma financial information contained in this announcement, and in particular the information as set out in the table on the following page which shows the calculations of the normalised earnings and headline earnings are the responsibility of the directors and have been prepared for illustrative purposes and due to their nature, may not fairly present Motus' financial position in accordance with International Financial Reporting Standards. They have the effect of removing the once-off impact of share based equity costs that have no cash flow effect. In the opinion of the directors normalised earnings give users a useful view of the trading results. In addition, as 45% of HEPS is used to calculate the dividend pay-out it would have an unnecessary distortion on the dividend paid. * Due to the once-off nature of this expense and that there is no cash flow impact, this amount has been added back to create normalised earnings and headline earnings. Goodwill and intangibles increased by 3% compared to June 2018, mainly due to acquisitions of dealerships in the UK and South Africa, at the end of December 2018. Property plant and equipment increased by 4% due to the expansion of the dealership footprint in South Africa and the UK. Investments in associates and joint ventures declined by 19% mainly as a result of the impairments in the two Zimbabwean associates amounting to R56 million. partially offset by the decline in vehicles placed with car rental companies by the importers. Investments and other financial assets declined by 7%. This is due to the decline in investments in cell captives based on a change in regulatory solvency calculations. Aftermarket Parts net working capital increased as a result of an increase in inventory to improve brand representation to capture lower-end consumers and improve inventory availability. This impact should normalise in the short term. Other assets increased by 18% as a result of an increase in deferred tax assets arising on the remeasurement of foreign currency instruments in the hedging reserve and provisional tax payments. Assets held for sale are non-strategic properties, mainly relating to Retail and Rental properties held for sale in South Africa and Australia. Net debt increased by 30% (R1 790 million) which is aligned with the higher working capital levels across all segments. Deferred funds, mainly relating to service and maintenance plans, remained largely stable. The decrease in other liabilities by 30% is mainly due to the decline in current and deferred taxation liabilities. Other financial liabilities declined as a result of a reduction in loans due to associates. Additional shares issued to the former parent company prior to unbundling of R167 million. Cash generated by operations after working capital movements, interest and tax payments was R382 million (2017: R2 321 million). Net working capital absorption occurred mainly due to normalisation of working capital within the Importer segment and higher levels of inventory within the Vehicle Retail and Rental and Aftermarket Parts segments. The cash outflow on vehicles for hire is lower due to a decline in sales to external car rental companies. 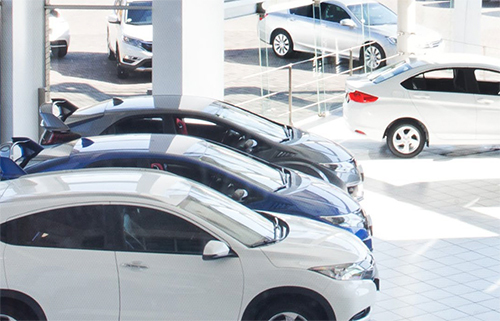 The cash outflow on businesses acquired is R368 million, relating mainly to the new dealerships in the UK and expansion of the dealership footprint in South Africa. The prior period's capital expenditure included proceeds on the sale of properties. The movement in associates is as a result of the inclusion of the Aftermarket Parts acquisition in the prior period. Shares repurchased related to treasury shares of 1 965 459 ordinary shares amounting to R165 million. The change in non-controlling interest outflow relates to cash paid for the buy-out of non-controlling interests. The prior period's inflow related mainly to the Renault recapitalisation. A final dividend was paid to Imperial Holdings Limited during September 2018 amounting to R567 million. Net debt increased by 30% from June 2018 in line with working capital increases, however, declined by 5% year on year. The liquidity position is strong with R4,8 billion unutilised banking facilities, excluding asset-backed finance facilities. In total, 66% of the group debt is long term in nature and 27% of the debt is at fixed rates. The group is currently assessing the appropriate mix between fixed and floating interest rates. An interim dividend of 240 (2017 pro forma: 209) cents per ordinary share has been declared, in line with our targeted pay-out ratio of 45% of normalised HEPS. This is an increase of 15% from the prior period pro forma dividend. Normalised HEPS excludes the once-off and non-cash flow item amounting to R160 million. Messrs MJN Njeke, S Mayet and Mrs K Moloko joined the board as non-executive directors with effect from 22 November 2018 and Mr RJA Sparks and Mrs T Skweyiya retired from the board with effect from the same date. The board thanks the retiring members for their services and we wish them well in their new endeavours. We welcome the new members and look forward to working with them. We are well positioned to maintain our leading automotive retail market share in South Africa and grow in selected international markets. We aim to sustain best-in-class earnings, targeted returns and generate high free cash flows and provide a platform for a consistent dividend pay-out through the cycle. We have a strategic focus on deepening our competitiveness and relevance across the automotive value chain, by driving organic growth through optimisation and innovation, and with selective acquisitions. The group has produced solid financial results for the six-month period under challenging trading conditions. We anticipate satisfactory operating and financial results to June 2019, subject to stable currencies and economic growth in the economies in which we operate. to achieve growth in normalised HEPS. On behalf of the board we thank all stakeholders for their support, and we will continue to execute on our strategies. The forecast financial information herein has not been reviewed or reported on by Motus' auditors. Notice is hereby given that a gross interim ordinary dividend in the amount of 240,00 cents per ordinary share has been declared by the board of Motus, payable to the holders of the 201 971 450 ordinary shares. The dividend will be paid out of reserves. The ordinary dividend will be subject to a local dividend tax rate of 20%. The net ordinary dividend, to those shareholders who are not exempt from paying dividend tax, is therefore 192,00 cents per share. The company's income tax number is 983 671 2167. Share certificates may not be dematerialised/rematerialised between Tuesday, 19 March 2019 and Friday, 22 March 2019, both days inclusive. On Monday, 25 March 2019, amounts due in respect of the ordinary dividend will be electronically transferred to the bank accounts of certificated shareholders that utilise this facility. In respect of those who do not, cheques dated 25 March 2019 will be posted on or about that date. Shareholders who have dematerialised their shares will also have their accounts, held at their CSDP or broker, credited on Monday, 25 March 2019.